The shock to national politics regarding complementary medicine and integrative health is that the new Republican majority in the United States Senate will remove from their power positions two additional U.S. Senators: Barbara Mikulski (D-MD) and Bernie Sanders (I-VT). These are the two elected officials who, after Harkin, have been the movement's most passionate and effective advocates. The chair of the U.S. Senate Appropriations Committee is considered the third most powerful elected official in the United States. In January 2015, this will no longer be Maryland Senator Barbara Mikulski. Mikulski has been Harkin's close colleague on all things integrative for two decades. Principal among these is the advocacy, against sometimes strenuous opposition, of continuous funding for the NIH National Center for Complementary and Alternative Medicine (NCCAM). What will happen to NCCAM's budget under the new regime? Mikulski is a strong proponent of acupuncture, in part through her close relationships with acupuncturist Charlotte Kerr, RSM, RN, BSN, LAc, MPH and medical acupuncturist Brian Berman, MD, who heads the University of Maryland's Center for Integrative Medicine. 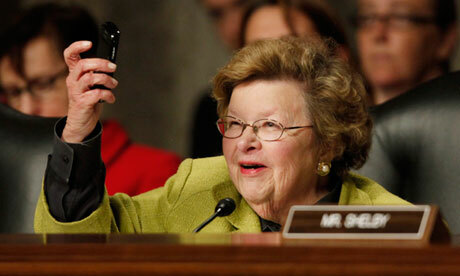 Mikulski has assisted Kerr to appointments on numerous federal panels. Another source of Mikulski's interest in acupuncture and integrative health is Maryland University of Integrative Health for which Kerr has served on the faculty and Berman on the board. In addition, for two years running Mikulski championed the U.S. Senate resolution establishing Naturopathic Medicine Week. These resolutions lauded naturopathic physicians' potential contributions while also giving that profession its first explicit, formal recognition in any Congressional act. Appropriations' current minority ranking member, Richard Shelby (R-Alabama), is the likely new chair. While Alabama, with its high obesity and diabetes rates, could certainly use an influx of integrative medicine and health, it's not likely any time soon. Shelby, who crossed over from the Democratic Party in the mid 1990s, represents a state that has no academic medicine-based center for integrative medicine. Nor is it home to a single school of chiropractic, acupuncture or of naturopathic medicine. The state does not licensed acupuncturists or naturopathic doctors. Not much to represent there. The second significant loss is in the Senate Committee on Veterans' affairs. 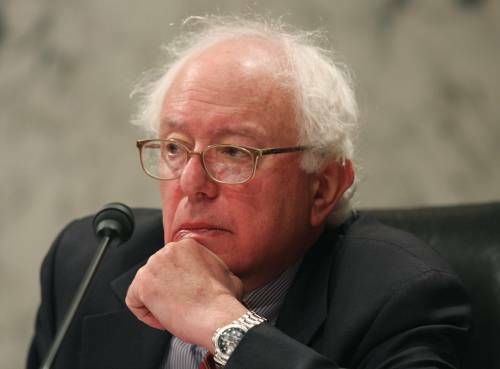 The current chair is Bernie Sanders, the independent from Vermont. Sanders's advocacy of complementary and alternative medicine is such that in January 1996 he brought all of the state's stakeholders together for a three-day conference on the topic. He kickstarted what is the nation's most robust embrace of integrative care. Emblematic of the integrative milieu in Vermont, naturopathic physicians are part of the state's primary care matrix, covered under Medicaid and trusted as stewards of patient centered medical homes. Sanders is credited with inserting the licensed complementary and alternative medicine professions into Section 5101 on workforce of the Affordable Care Act. In doing so, Sanders made visible in federal policy the fact that for millions of U.S. citizens, licensed complementary and alternative healthcare practitioners are part of their personal "workforce." Shouldn't they be in the nation's workforce planning? More recently, from his power seat as chair for Veterans Affairs, Sanders promoted a vast expansion of access to integrative services across the Veteran's Health Administration. This is most evident in Section 305 and Subtitle C, Sections 331-334 here in his veterans package. He's backed alternatives to opioids in the treatment of Vets. In all of Sanders' work, the integrative health field has been helped because one of the top policy actors in the integrative health movement, Janet Kahn, Ph.D., LMT, is a constituent with whom he has had a long working relationship. The politician in line to replace Sanders is ranking minority member for Veterans AffairsRichard Burr (R-NC). Unlike Alabama, North Carolina does have multiple academic-based integrative medicine programs and a strong, grassroots interest. This bodes well for Burr to at least recognize he has a constituency to serve, even if he has no personal passion for the field. All in all, some hand wringing among integrative health and medicine advocates is in order. Yet at the same time I recall that in 2001 the Design Principles for Healthcare Renewal, an important early multidisciplinary document in the emerging movement, was first brainstormed under Republican hosting. The team, with which I participated, met in the Rayburn House Office Building's House Government Oversight Committee chambers of then chair Dan Burton (R-IN). Burton, to use a line of my father, was "to the right of Attila the Hun." Via his staffer, long-time complementary and integrative health consultant, Beth Clay, Burton also sponsored a series of supportive hearings on complementary and alternative medicine topics. In truth, complementary and integrative health and medicine has always made for strange bedfellows, a meeting ground for right and the left. Another example: Utah's Republican Senator Orrin Hatch partnered with Harkin to champion consumer access to botanical medicines and dietary supplements. A stable era of political potency has passed. One is challenged to imagine replacement of Harkin, Mikulski and Sanders with leaders who will bring similar passion for the patient care and health system transformational potential represented by the integrative health and medicine movement. Time to forge new relationships. While it stretches the skin to put any sort of hopeful face on these changes, given the past support from various Republican quarters, who knows what may be found?